The New York Mets' losing streak in MLB reached eight on Saturday. The Yankees topped the Mets 4-3 in the second game of the 2018 Subway Series. The Mets have not won in the month of June and have dropped 15 of their last 18 games. The Mets hit a pair of home runs in the first and held a 3-1 lead through five innings. But Yankees infielder Miguel Andujar hit a two-run homer in the sixth to tie the score and Aaron Judge blasted his 18th home run of the season two innings later to put the Yankees in front for good. Gleyber Torres also homered for the Yankees, while Didi Gregorius registered three hits. Mets starter Steven Matz allowed three runs in six innings on the mound. 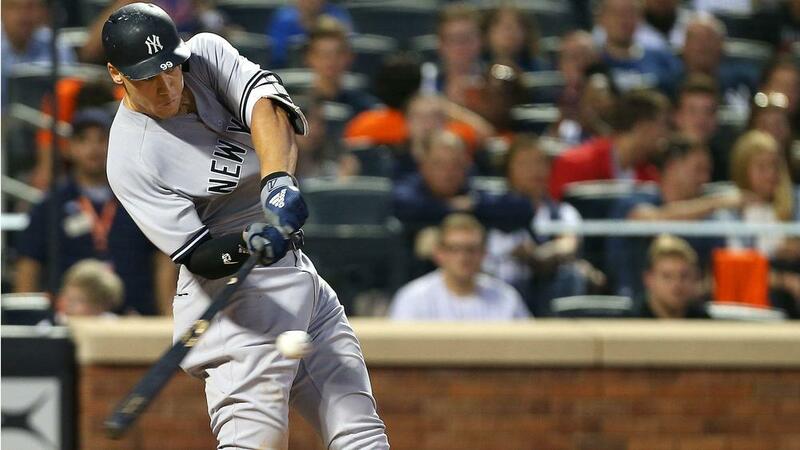 The Yankees have topped the Mets in six straight games, dating back to last season. Jon Lester allowed just one hit and threw seven shutout innings in the Cubs' 2-0 win over the Pirates. Yadier Molina tallied three RBIs in the Cardinals' 6-4 win over the Reds. Giants starter Dereck Rodriguez surrendered five runs and six hits in 2.2 innings against the Nationals. Mychael Givens walked in the winning run in the Orioles' 4-3 extra-innings loss to the Blue Jays. Choi Ji-man delivered a pinch hit grand slam in the sixth to give the Brewers a lead over the Phillies. Milwaukee went on to win the game 12-3. San Francisco and Washington will conclude their three-game series on Sunday. The Giants registered a 9-5 win in the opener while the Nationals picked up a 7-5 victory Saturday. Max Scherzer, who has a 10-1 record and a 1.95 ERA in 2018, has been one of the best pitchers in baseball this season and will take the mound for Washington. Derek Holland will start for the Giants.